We want to recognize those professionals who we work with that help create and capture amazing moments for our clients. We work a lot of great professionals this is our way of celebrating their achievements. 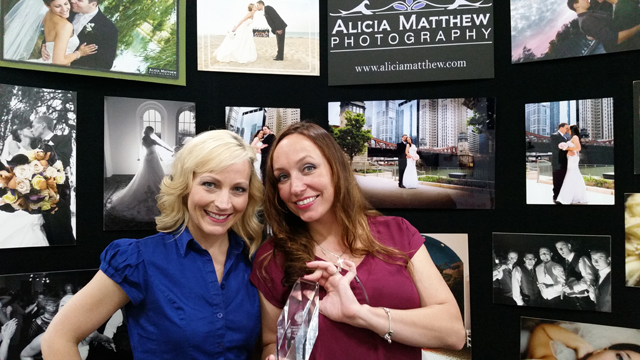 Alicia Matthew Photography loves helping to make your wedding dreams come true! We specialize in photojournalistic, candid and traditional photography. We work closely with our brides and grooms as well as the DJ’s and planners to make sure your wedding day goes smoothly. Your only job is to enjoy your day! Two essentials to a wonderful and memorable wedding is a great DJ who will make your party fun, (which is why we recommend Memory Makers DJs), and a great photographer who will capture all of the special moments, providing you with photos that you will treasure for a lifetime! From our unsurpassed attention to your vision, to true personalization of he decor style of your special day, to our stringent standards assuring only the frostiest flowers; Creative Events uniquely sets itself apart from the many ‘corner florist’. At Creative Events your event is styled around you, your individual tastes, and the love that has brought you to this incredible moment!